Packing for a few days’ city break, I’ll be adding a guidebook to my bag. We can just look stuff up on our phones, can’t we? Says my son. I suppose we could—and probably will. Though despite taking up some luggage space (well it says ‘pocket guide’ on the cover, but someone must have pretty huge pockets), it feels reassuring to have it with us. This led me to think about other sorts of guidebooks. There is a massive market for—or, at any rate, massive production of—guides about writing and writing novels. It’s an extremely crude test, but simply typing ‘novel writing’ into the Amazon search brings over 100,000 results, not counting the numerous others on publishing and promoting books. Presumably a majority of these are produced in response to existence of self-publishing platforms and huge rise in books published this way in the last ten plus years. Amongst this abundance, how to find the select few books that we’ll find truly useful to support and help improve our writing? Like others, I have read a few that simply appeared to be jumping onto the bandwagon and whose specialist subject appears to be (to quote Basil Fawlty) the bleedin’ obvious. The guide you find useful may prove to be a work not originally intended to direct creative writing at all. 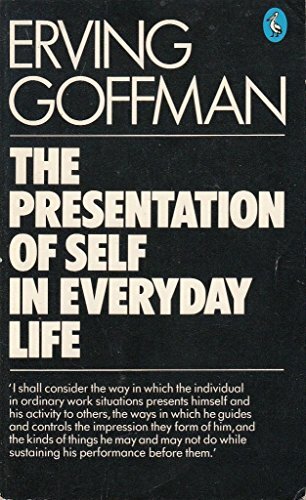 I read an interview with novelist Anne Tyler in which she enthused about a Sociology textbook from the 1950s by Social Psychologist Erving Goffman called The Presentation of Self in Everyday Life, describing it as “the most valuable book a novelist could read. We are always trying to decipher gestures, or as writing teachers say, how to show rather than tell.” Though without any pretensions or even aspirations to having Tyler’s literary gifts, as a writer of character-driven stories, this sounded interesting, and I ordered an old copy of Goffman’s work from ebay. Well, it appears I don’t possess Tyler’s intellectual gifts either, because I have found it hard going and not yet reached the end. Nevertheless, in terms of emphasis on the significance of human social interaction and on the meaning underlying a character’s gestures of “manner” and their “appearance”, it is food for thought. Of the books I have had recommended to me, it has actually been one on screenwriting that has proven especially useful: Break Into Screenwriting by Ray Frensham. This is not because I am making a sorry bid to become a screenwriter, but because in terms of structure, plot, and character development, and writing authentic dialogue in particular, considering script writing is so useful. (An article 5 Things Novelists Can Learn from Screenwriters on Writersrelief.com summarises some of the key relevance of screenwriting for novel writing better than I can). And of the books recommended for a writing course I took a couple of years ago, I found by Mittelmark and Newman’s How not to Write a Novel – 200 Classic Mistakes and How to Avoid Them useful in its advice and examples of the common pitfalls to avoid. It’s also an amusing read and somewhat excruciating. I can almost guarantee you’ll find an example of the sort of bad habit you have fallen into as a writer in there somewhere amongst the many examples, no matter how much you may pride yourself on your skill and originality. After all, in tourism, in writing, and in just about anything else, sometimes is good to become lost and find you own way back, your own route, agenda, and way of doing things. Lisa Allardice, Anne Tyler: a life’s work, The Guardian, 13 April 2012, retrieved 11 April 2019. This is a pretty good list. I kind of want to read them all. Sigh. that’s true, the guide will help you see your mistakes and help you avoid them, but reading and even memorizing a guidebook on how to write won’t write you a book. I don’t read books like that, to be honest. If i find myself wondering how to improve something on my writing, i research articles, short pieces that aren’t complicated and comes from another author’s experience. Even so, I do come upon articles on other blogs about things to avoid or where to improve – both of which i pause and take notice. But books on how to or guide for writing best sellers? I can’t do those . I wouldn’t mind being rich, but that said, I’m content with the few reviews i get every now and then. Yes, a lot of successful books appear to be those ghost written for celebrities – or their pets! Thank you for reading. 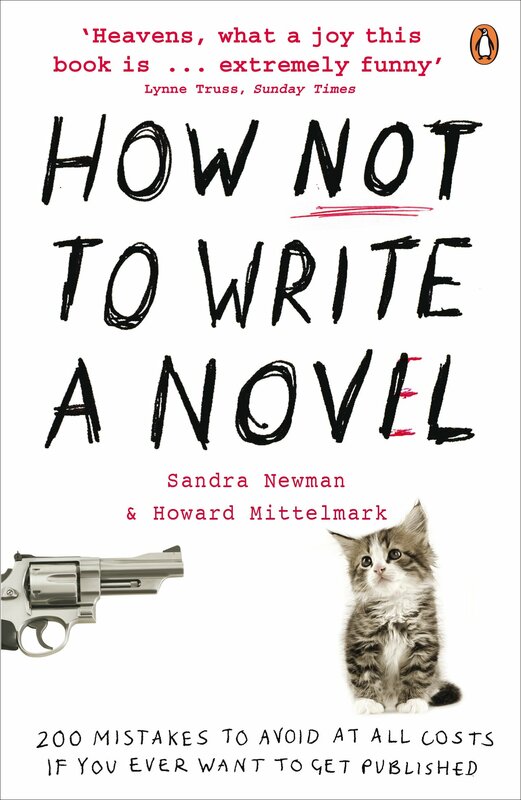 How Not to Write a Novel was one of the first books I read when I started writing, very funny. Agree, it’s entertaining in its own right. Weird. I was convinced i was following you. Hmmm. Another WP mishap? Well, it’s fixed. Thanks, nothing like your own far-flung travels, but looking forward to a break! A break is always good. Thank you, good advice – we need to find out own itinerary, starting with a wander about outside before leaping in to the usual sites. And I agree – so many contain the same repeated advice. I’ve read my fair share of books about novel writing, but somehow missed How Not to Write a Novel. Sounds interesting…I’ll have to look it up. It’s about ten years old now, but I think it’s still got sound (or sobering) advice written partly in the form of some funny spoof examples. Next Ready for your close-up?